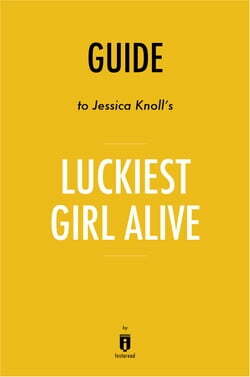 Luckiest Girl Alive&nbsp;by Jessica Knoll is a dark and gripping novel that reveals the traumatic past of TifAni FaNelli, a writer for a popular woman’s magazine. This book shows how the strong desire to belong and to... read more be liked makes people do things they would not ordinarily do. It also illustrates how the influences of youth carry over into adulthood and affect basic character even as people search for happiness.